View Poll Results: Worst nom twist? Last edited by Pete. ; 19-06-2016 at 09:39 PM. Definitely that hideous game of nomination tag. Last edited by Daniel-X; 19-06-2016 at 09:42 PM. Definitley that hideous game of nomination tag. I'm not even a big Sam fan but that was a hideous twist. 4 in 4 out was trashest as it ruined the series. HMs evicting sam was the most outrageous imo. The Sam thing was unforgiveable tbh. 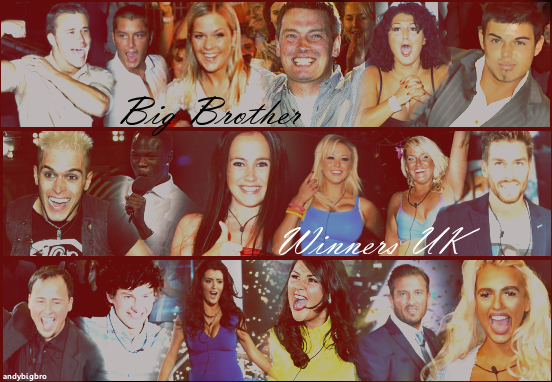 They were all varying degrees of terrible but Sam's eviction was massively unfair. I didn't particularly like Sam, but I didnt dislike her either mind. She obviously wasn't going to win and would maybe have been out in a normal eviction anyway...but it was just cruel and pointless. I liked the concept of Nominations Tag, and would've been all for it in any other series, but Big Brother 16 was already drowning in twists at the time and didn't really require another one. Every twist that involves fixing immunity for Marc. The second he wasn't immune he got evicted. Swapping the noms to save Jade and Eileen (the former went missing for 3 weeks afterwards until her eviction and the latter was evicted the following week) when we had some gold housemates who were evicted in their place in 4 in 4 out. Last edited by Cal. ; 20-06-2016 at 07:18 AM. Last edited by Jason. ; 20-06-2016 at 11:57 AM. The switch that lead to 4in4out was a disgrace, an absolute joke. 4in4out has to be one of the worst things to happen to BBUK. It totally ruined the series. 4in4out was genuinely awful, but the fact they reversed the nominations was just the cherry on top of the turd.